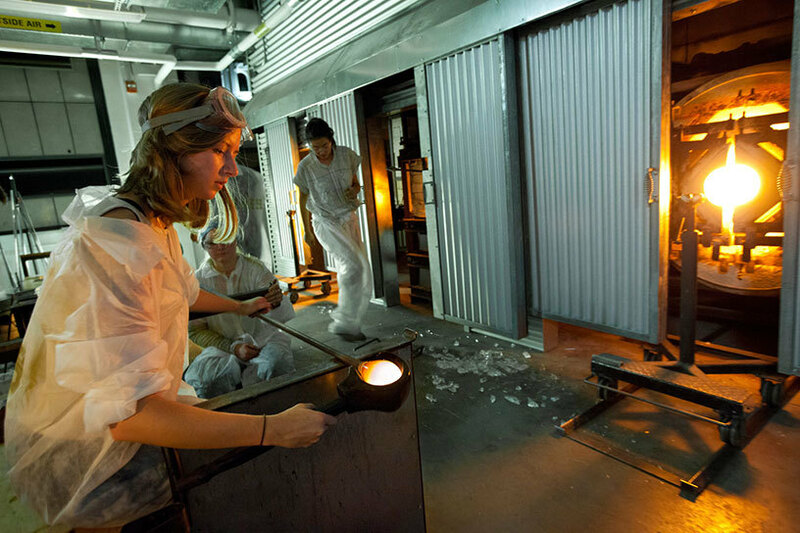 From the RISD Glass website, a picture of a student performance featuring now-alumna Anna Riley. The glass department at the Rhode Island School of Design, which is within the division of fine arts, is looking to fill a full-time faculty position of assistant professor that will start in the fall of 2019. 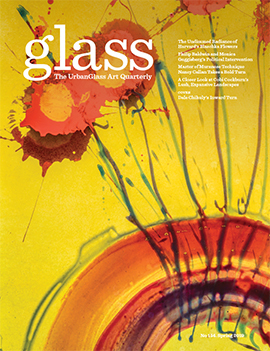 The job posting states that it's "essential that applicants are conversant with contemporary art history, critical theory, and both traditional and nontraditional approaches to glass," and that applicants' "studio practice and teaching must show a solid commitment to innovative research, investigation and experimentation." In addition, demonstrated technical ability and conceptual problem solving are necessary, as is an active studio practice and "facility with a broad range of critical discourses, writing, and contemporary social and cultural dialogues." The deadline to apply is January 11, 2019. Qualified applicants are expected to have an MFA, but those with extensive professional experience and substantial achievement will also be considered. Required is expertise and visibility in the field, as well as "a dedication to experimental and inclusive pedagogy." 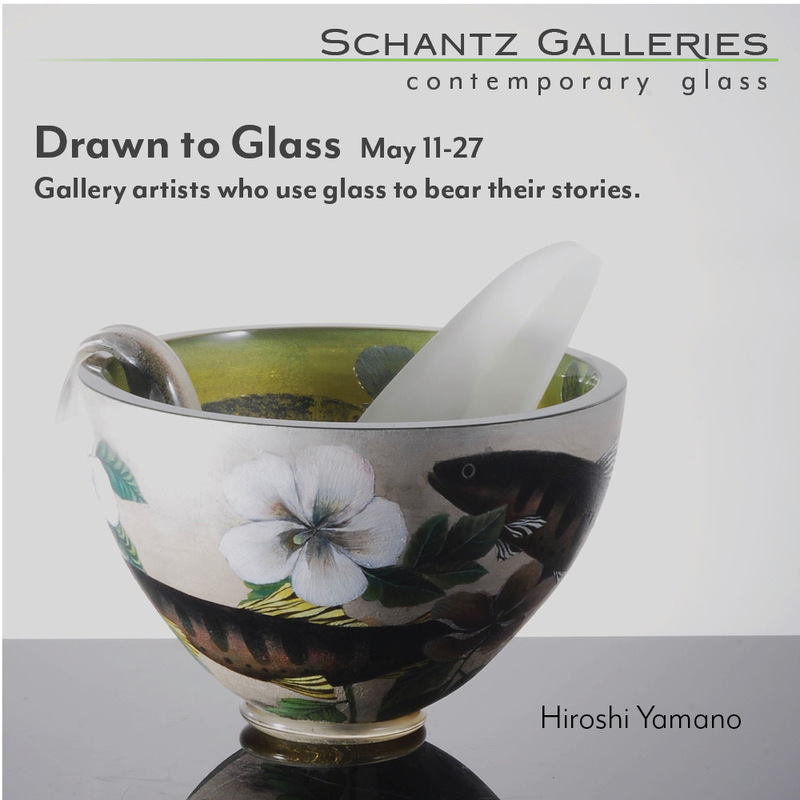 Knowledge of hotshop, kiln, and coldshop processes is expected, as is versatility to teaching students at all levels (RISD offers graduate and undergraduate degrees in glass). An active interest in blending glass and other disciplines is also required. A minimum of 3 years of university-level teaching experience is preferred. The successful applicant will be responsible for teaching six courses a year, while maintaining a professional practice, serving on committees, advising students and participating in curriculum development. 3. Teaching philosophy – please comment on how you would contribute to a learning community that is informed by an awareness of diversity and inclusivity. 4. At least three sample course syllabi. 5. Up to 20 examples of current professional work. The images should be submitted in slideshow format and include an image description list or descriptive captions. Video works or documentation should be submitted via Vimeo or YouTube link. A PDF with embedded links may be uploaded as well. Please ensure that reviewers have access to view the videos. 6. Up to 20 examples of student work. The images should be submitted in slideshow format and include an image description list or descriptive captions. 7. Additional materials such as professional writings, press, documentation of innovative workshops and/or experiments are encouraged (attach to tab labeled “Supplemental Portfolio”). Review of applications begins immediately, and all completed applications received by January 11, 2019 are assured full consideration.